Gingivitis is the mildest form of gum disease. Frequently progressing to periodontitis, gingivitis is prevented by good oral hygiene practices and routine dental exams and cleanings. Dr. Joshua Holcomb, Collierville dentist, examines his patients for signs of gum disease and offers preventive services and periodontal disease therapy to halt it. When ignored, gum disease leads to tooth mobility and loss and also gum and jawbone recession. Researchers link gum disease to serious medical problems throughout the body as well. When gingivitis progresses to periodontitis, pus, deep gum pockets (greater than 3 mm), tooth mobility and deterioration of the jaw bone necessitate periodontal disease therapy from an experienced Collierville dentist such as Joshua Holcomb DDS. From children to adults in their senior years, thousands of people suffer from gum disease. It is the leading cause of tooth loss in adult Americans. An exact cause-effect relationship is not apparent, but dentists agree that inflammation and bacteria from infected gums play a role in gingivitis and periodontitis. Also, people with infected gums seem to have a higher incidence of the above conditions. Dr. Joshua Holcomb stresses semi-annual oral exams and professional cleanings. 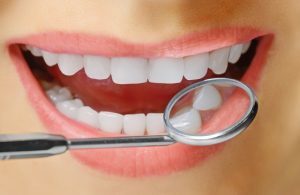 The dentist performs periodontal probing to assess gum health. This simple, painless procedure measures the depth of pockets (sulcus) between gums and teeth. Deep pockets are diagnostic for gum disease. At the Collierville office, a skilled hygienist scales teeth to remove plaque and tartar. She also “deep cleans” to smooth roots so gums re-attach to teeth. Some dentists recommend replacing worn restorations such as crowns and bridges which contribute to plaque build-up. Orthodontic treatment creates a smile that is easier to keep clean. Know the warning signs of gum disease. Contact Dr. Joshua Holcomb for an appointment. Get on track with regular dental exams and cleanings to keep your teeth, gums and overall well-being vibrant for the rest of your life.